This card showcases the pearlized Share What You Love designer series paper. I love the color combination of So Saffron and Basic Black. 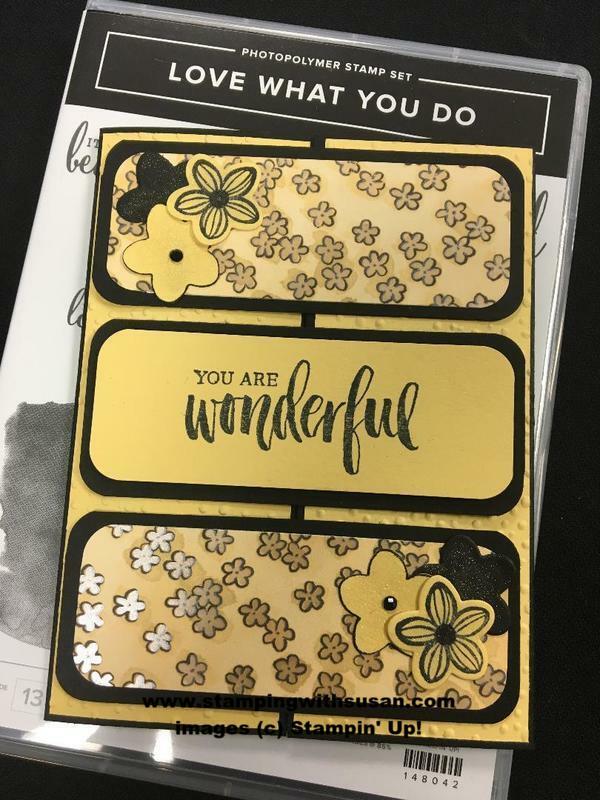 I added a little Wink of Stella to the stamped and die cut flowers. The greeting is from the new Rooted in Nature Stamp Set. The corners are rounded using the new Detailed Trio Punch. The card base is a traditional gate fold and the top and bottom pieces open one way while the center piece opens the opposite way. An easy fun fold card!